Travelers and advocates are baring their teeth at Delta's new rule that passengers with service animals must submit paperwork two full days before flying. While some fliers are cheering Delta Air Lines’ new, stricter rules for those traveling with service or emotional support animals, many long-time guide dog users and organizations that advocate for travelers with disabilities say the guidelines, which require added documentation and pre-planning, are over-reaching, discriminatory and illegal. Citing a significant increase in the numbers and types of “comfort” animals passengers bring on planes — and an 84 percent increase in reported animal incidents such as urinating/defecating, biting and attacks — Delta announced last week that certification of a flyer’s need for an animal and proof of an animal’s training and vaccinations will be required for both service and emotional support animals. 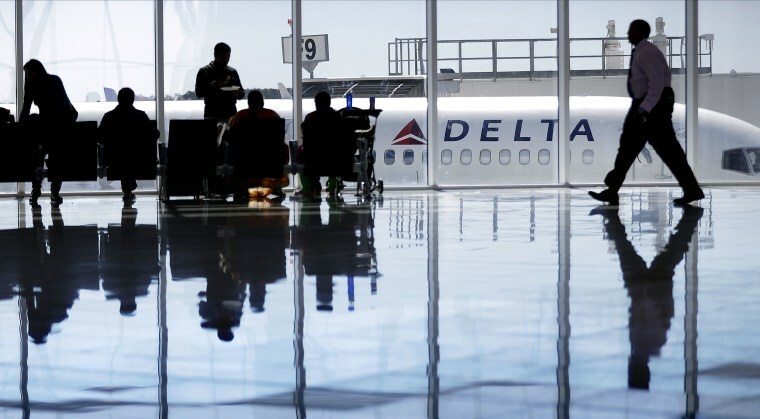 However, organizations such as The National Federation of the Blind believe elements of Delta’s policy, which goes into effect March 1, violate the Department of Transportation’s Air Carrier Access Act. The 48-hour ‘intent-to-fly’ requirement means guide dog users "will no longer be able to fly on Delta for family, medical or other emergencies,” said the NFB. "People with properly trained service animals are being punished." Noting that it has “long been concerned with the abuse and fraud of animals purporting to be service or support animals,” the American Council of the Blind also said Delta’s revised policy discriminates against passengers with legitimate service dogs and makes travel more difficult for individuals who rely on their service animals for travel. An on-line petition with more than 75,000 signatures is asking Delta not to make it harder for people to travel with emotional support animals — but other airlines are already exploring following Delta’s lead. “We agree with Delta’s efforts,” American Airlines said in a statement. “We are looking at additional requirements to help protect our team members and our customers who have a real need for a trained service or support animal.” The carrier said from 2016 to 2017 it saw an almost 15 percent increase in the number of customers traveling with emotional support animals. The Department of Transportation had planned to draft new rules on service animals by July 2017, but those guidelines have yet to be released.